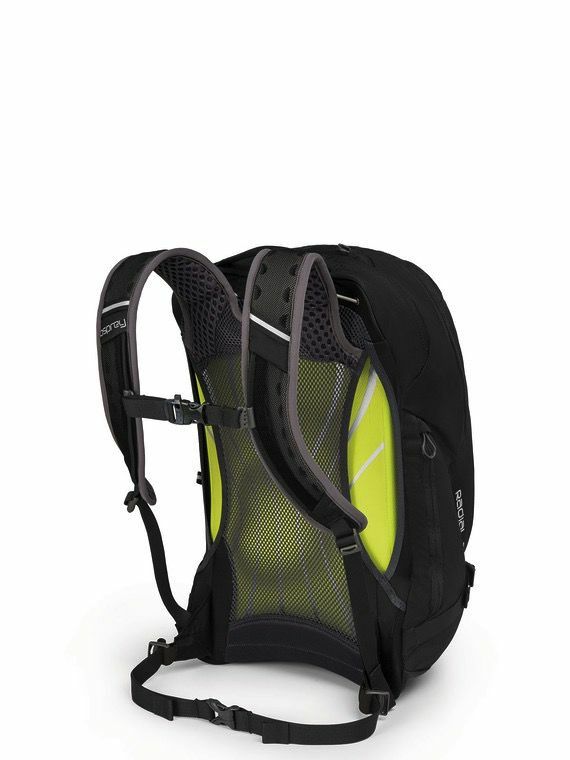 Bike friendly features like a dedicated U-Lock pocket, LidLock™ helmet carry, an integrated kickstand, an incredibly ventilated backpanel, a dynamic suspension system that moves with the rider and extra room for gear and heavy loads make this the ultimate technical commuting pack. Light and fast bike commuters who need extra space for gear will appreciate the cycling specific design and features of the Radial 34. From a harness and suspension system that moves with the rider and provides incredible ventilation and comfort with heavy loads to integrated helmet and u-lock carry, this is the premium commuting pack. LidLock™ helmet attachment keeps your hands free to dig for change at the coffee shop and the integrated kickstand keeps your pack upright for easy access to everything inside. Blinker light attachment and reflective details provide low light visibility options, and a front stretch pocket keeps your u-lock handy. Since commuting is not a fair weather sport, a built-in high visibility raincover keeps your pack and gear dry in the slop. Laptops and tablets stay safe in a dedicated top-zip sleeve, and the main compartment has document sleeves and plenty of room for your commuting, school, and work gear. A smaller zippered front panel pocket features mesh organizers and pockets to keep smaller items in their place. A small zippered scratch-free pocket on this side with retractable key fob is accessible without removing the pack, providing access to your phone while on the move, and your sunglasses will appreciate the additional scratch-free pocket on the top of the pack. A stretch mesh side panel carries a water bottle to keep you hydrated.